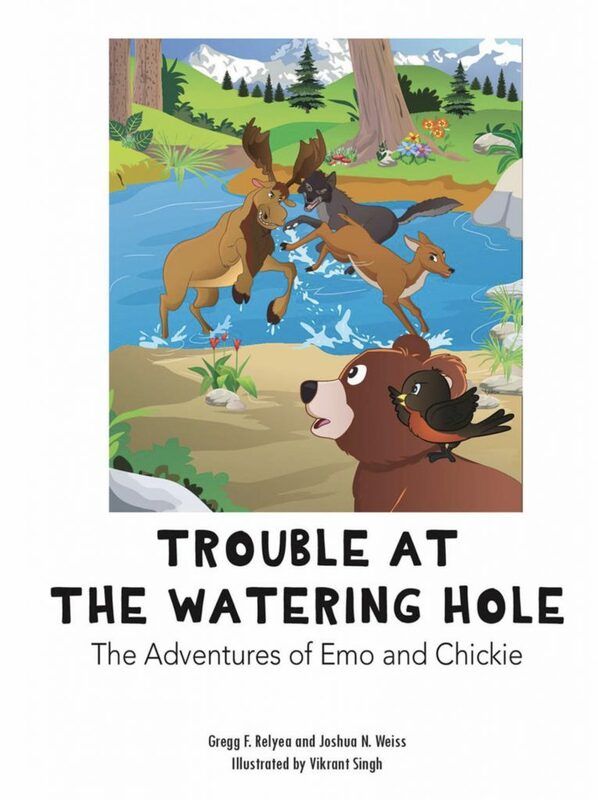 In the book Trouble at the Watering Hole: The Adventures of Emo and Chickie, Joshua Weiss, co-founder of the Global Negotiation Initiative at Harvard University, inspires children to learn how cooperation and negotiation can help us overcome conflict. The forest animals have a problem—the watering hole isn’t big enough. They have all the usual reasons for getting more water—who is biggest, who is strongest, and who is cleverest. But the animals are getting nowhere. Worse yet, they are fighting with each other, which won’t solve anything. 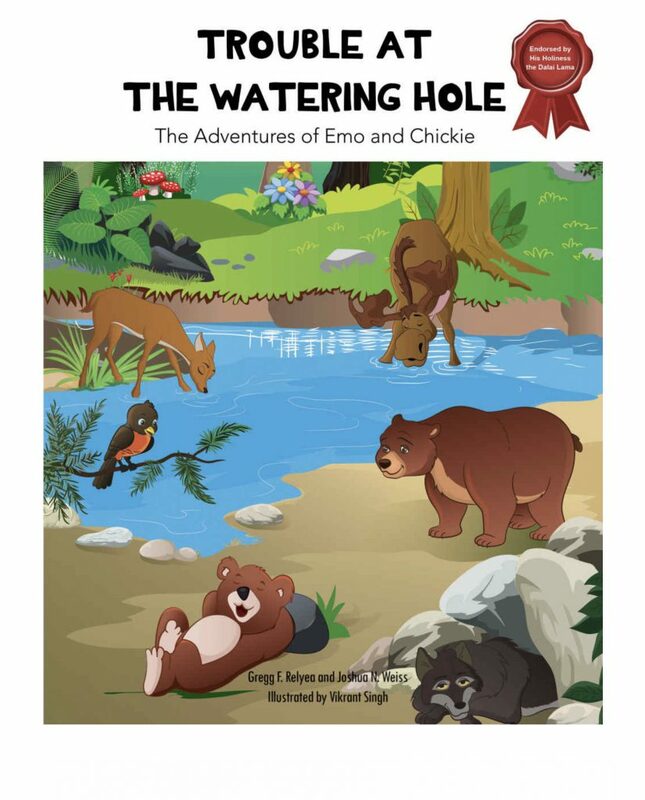 In Trouble at the Watering Hole, Emo, a baby bear cub, and his best friend, a colorful bird named “Chickie,” know there must be a way to stop the fighting. Together with the forest animals, Emo and Chickie explore ways to work things out that are positive and constructive. They learn skills together and use them to work through the problem—skills that can be used to resolve everyday problems without resorting to fighting. Skills that everyone can learn. Trouble at the Watering Hole is a breakthrough book that focuses on the skills of conflict resolution. The “how” of working things out. This fun and educational book builds a foundation for kids to learn ways to constructively resolve problems and to build strong skills that can be used to resolve conflict for the rest of their lives. To further help teach kids conflict resolution skills, search for the companion book Parent/Teacher Manual for TROUBLE AT THE WATERING HOLE and purchase both books together. TROUBLE AT THE WATERING HOLE is also available as a coloring book. You can also find the children’s book translated in Hindi. No Replies to "Children's book on negotiation: Trouble at the Watering Hole"